Kona, my new roommate. I’m back in the USA for an extended period to help a friend at a small and exciting company. This isn’t the end of my photography by any means — I’m actually really excited about settling in San Francisco again. Today is day 11. A common misconception — one that influenced me a lot before my trip — is that travel makes photography easier. I no longer think that’s true. I can shoot pictures almost anywhere. Rarely anymore do I look at an amazing photo and wish I’d been in the place where it was taken. For me I think that light, composition, and timing are much more important skills to develop than finding content. Shot at the top isn’t a particularly amazing one. 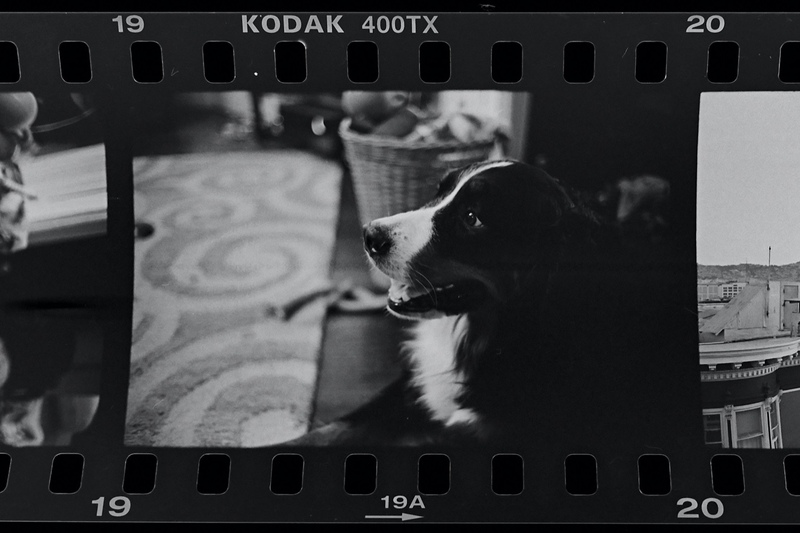 It’s Kona, my new roommate, shot on 400 ISO Tri-X and developed at home. For a first roll hand developed at home I’m very happy with how it turned out.